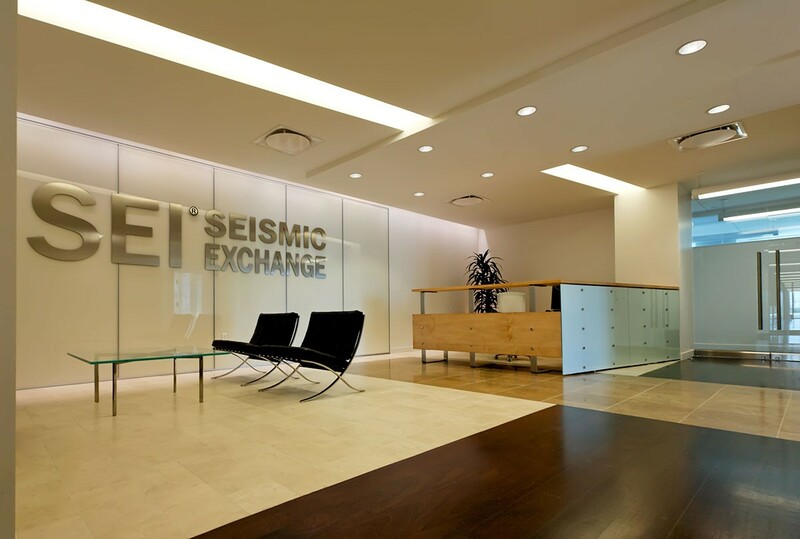 Seismic Exchange’s corporate headquarters was built next to one of their existing technical facilities. The scheme was inspired by the setback renderings of Hugh Ferris illustrating the potential of the regulations of 1920’s New York. 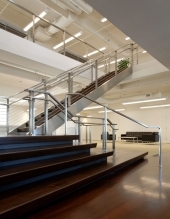 These setbacks become opportunities for terraces and other social spaces adjacent to the stepping floor plates. The building is a diagram of the corporate divisions within Seismic Exchange, where executives inhabit the higher floors. The skin is made up of terra cotta cladding and a curtain wall steel system that is inflected to produce depth/volume in the exterior walls. 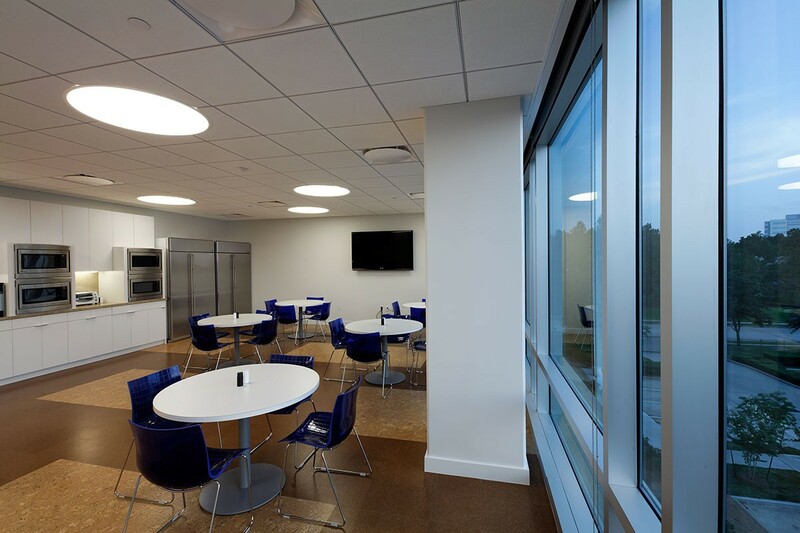 Multiple cores and entry points allow the building to respond to its context while increasing the efficiency of circulation throughout the building. 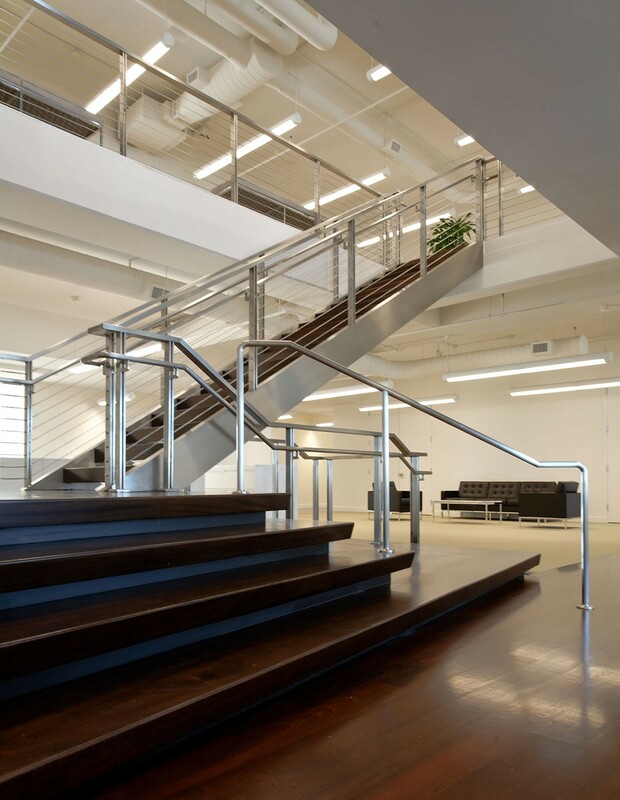 Double-volume spaces are used on several floors to create a sense of expansion and relief throughout the building. The client’s desire to have a “clean-lined”, classic interior was envisioned through the use of classic materials and a neutral color palette. 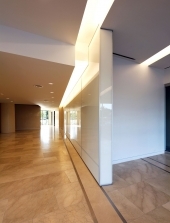 Natural materials of limestone, travertine and wood provide texture and warmth to the glass and painted white walls. 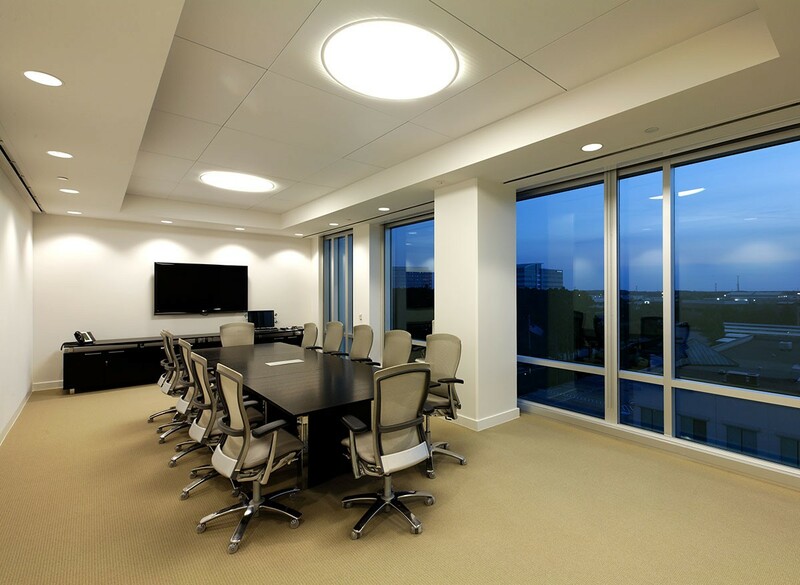 Light bands and recessed circular light fixtures create visual interest without detracting from the neutral palette. 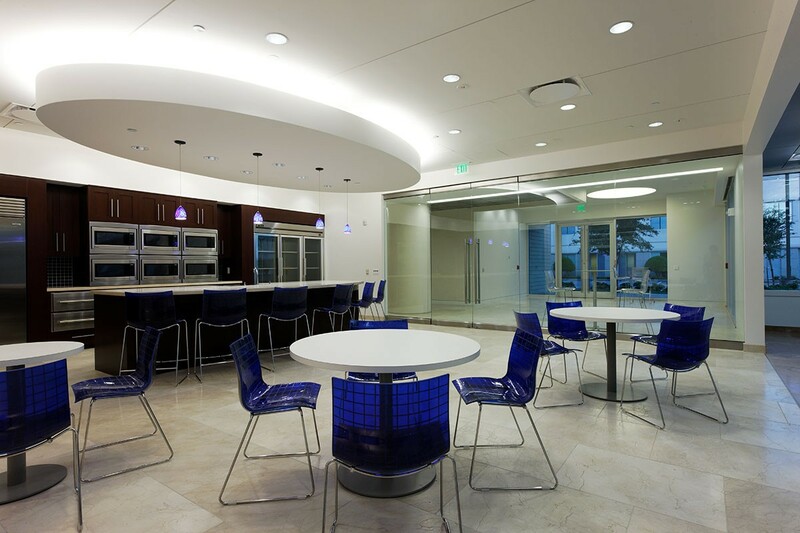 Design lines are accented by metal trim and reveals on the floor, wall, and ceiling planes.